Well, I got a bit sidetracked this week with my book Who Asked You? by Terry McMillan. I’ll admit I was a bit prejudiced against it from the start, and once I got past the first chapter I realized it had more than one narrator. In fact, it has at least four so far (but I’m only in the middle of the fourth chapter), and it focuses way too much on race relations, in my opinion. But I’m interested enough in the plot to keep reading it. Die Trying, by Lee Child. This second installment in the Jack Reacher series finds him in dire straits (what else is new? ), and he needs to find a way out of those difficulties. Sure, at points, I’m forced to suspend my belief, but I do that enough for science fiction and end-of-the-world movies, so why not for a book series? I’m enjoying it so far. And yeah, I can’t stop myself from picturing Tom Cruise as the hero. Damn movie. 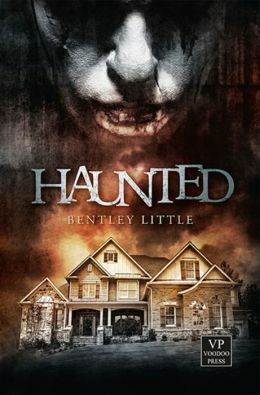 The Haunted, by Bentley Little. Stephen King called Little the “master of the macabre,” but I think a more apt title would be the master of suspense. The house is haunted, but he doesn’t spend the entire novel talking about the horrific nature of this haunting. He is so much more subtle than that in the lead-up, and I am thoroughly enjoying the wait. That being said, this book is not for the faint of heart. Who Asked You?, by Terry McMillan. I’m going to give this book a couple more chapters to see where the narrative is really going, but it’s already difficult to keep the characters straight since they all talk in first person even though they have alternating chapters among the four of them. The Sound of Things Falling, by Juan Gabriel Vasquez. I’ll probably start this, my book club selection, in a week or so, after I’m done with Die Trying. Until then it will sit here and look cool. I’m Still Scrambling, by Randall Cunningham. As a child of the 80s who grew up as a Philadelphia Eagles fan, there was no brighter star than Randall Cunningham. I still haven’t started this one yet, but I have a feeling it will be a quick read when I do. That’s of course not even mentioning that I’m enjoying a renaissance of sorts, reading through Harry Potter and the Sorcerer’s Stone with Lexi. It just brings back memories of my mother reading with me all kinds of books. I enjoy the closeness, even if she does ask me a million questions. She has no problems whatsoever, by the way, saying Voldemort’s name. Maybe she’s the “one.” Oh wait, that’s a Matrix reference.